The majority of superhero games have been beyond terrible. Too many times game developers just slap the name of one of our favorite hero’s on the box and rush out a worthless game that is not worth the money. For every one good game with a super hero name on it there are five games that are just a huge waste of time. Batman Arkham Asylum in not only one of the best super hero games we have every played but it is one the best games period. This is the game to spend your money on. Batman is escorting The Joker to Arkham Asylum. He is suspicious to why Joker was so easily caught, and as soon as Batman is in the Asylum he finds out that Joker has planned this all along. 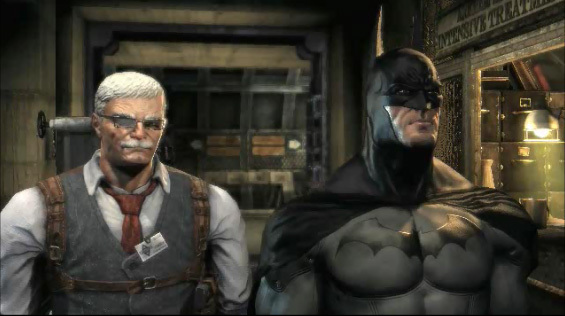 He wanted to trap Batman inside Arkham with all of the villains that are imprisoned there. 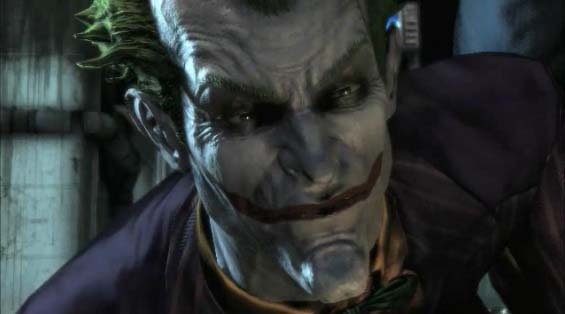 To make matters worse many prisoners from BlackGate Prison have been temporarily move to Arkham island and are also free to come after Batman. 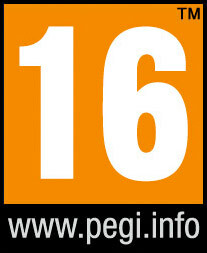 This is a 3rd person action adventure game that has outstanding hand to hand combat. The battle system is designed to jump from one attacker to another without missing a beat. This creates combo bonuses when you start to hit 10, 15, 25 times in a row. The controls are perfect and It works at any level even if you are new to this style of game. Speaking of perfect that is how the camera and aiming also, no issues at all. Even the times where you have to line something up just right and having a hard time it is not a design issue, you are most likely standing in the wrong spot or are using the wrong item. Detective mode will also help find secret things. You can see through walls to see how many foes are in a room, follow wires to find electric locks and solve crimes because Batman is the world’s greatest detective. You could play the whole game is this mode if you want to and for large sections of the game we did. The main story is about 15 hours long but the extras in the game keeps you playing. There are 240 different Riddler trophy’s to find. Some are just finding green question marks but the other side missions is where the fun is. There are diaries in Arkham that tells the history of the island, Scarecrow has hidden traps to gas you and you have to fight off his mental attacks and Victor Zsasz is free and is leaving clues in the form of his victims being set up in life like poses for Batman to find. Our personal favorite is the character bios and Arkham Asylum interview tapes you can find. As you go through the game you get to hear how so many of the super villains became such a mess and how they got involved with The Batman. Hearing how the brilliant Harleen Quinzel becomes the love stuck crazy Harley Quinn is a story that gets washed over and we were glad to have it included in this game. When you add it all up the game hovers between 30 to 35 hours. Getting all of the 240 Riddler trophy’s is not easy but worth it. Finally an action game with a superhero that is good. This game needs to by owned, go buy it now and don’t worry, it is not another waste of a super hero name, Batman Arkham Asylum is outstanding from beginning to end.